It’s that time of year again. Time when family and friends come together to celebrate the holiday season, renew acquaintances and enjoy the festivities together. For many, this means preparing and serving traditional meals to small groups, or large gatherings. Once element of the holiday meal, that can be challenging to manage, is the location. Oftentimes it’s just too crowded at a family members’ home. There just isn’t enough space for dining tables, chairs and people to fill them. How do you solve this? Well. you can either send some of your friends and family home. Or, find a bigger place to host them all! This is where we would like to help. 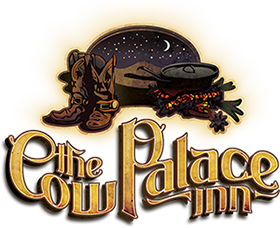 The Cow Palace Inn has space! We have a lot of different conference rooms, with different capacities, that can host families of various sizes. We’ll help with all the setup, provide you with kitchen services, then step aside and let you enjoy your holiday feast.